A well-loved and longtime Iowa radio host has died after being swept away in a flash flood in Des Moines Saturday. 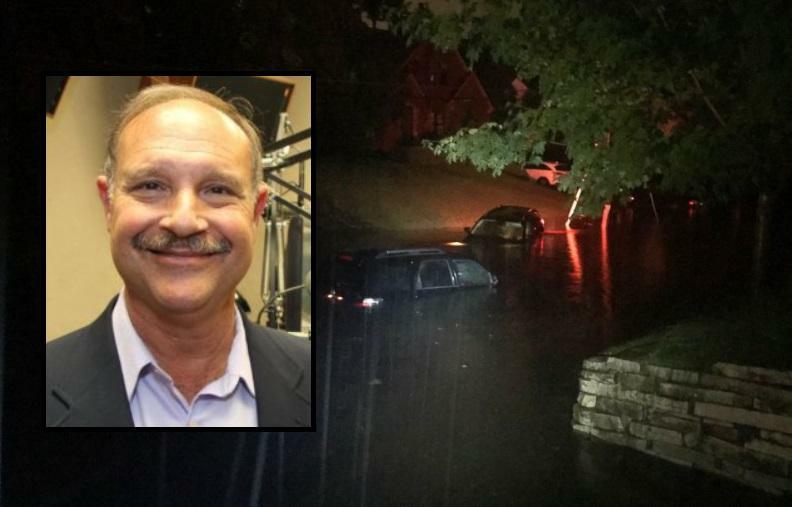 Police say 66-year-old Larry Cotlar died after his van stalled on a flooded north Des Moines street when a flash flood swept away his vehicle. The flash floods come amid flooding in Des Moines that has forced the evacuation of some homes in the area. Cotlar was the voice of Drake University's teams as a sportscaster since 2005. He broadcast the games and hosted "Cotlar and Company" on 1350 ESPN Radio. The athletics director at the university Briand Hardin said he respected Cotlar's work and the "quality person and colleague he was." Police say witnesses described seeing Cotlar get swept away as he got out of his van which stalled in the water. His body was found several blocks away about four hours later. The radio station which hosted Cotlar's show issued a statement saying, "All of us at 1350 ESPN and the Des Moines Radio group are devastated by the loss of our voice, our colleague, and our friends, Larry Cotlar. Larry was the voice of sports in Central Iowa. Today, our thoughts are with his wife, Deb, and their son, Zach. There is absolutely no replacing Larry. He will be thought of fondly and missed greatly by his family, friends, and his extended families in the sports and broadcasting communities." The torrential rainstorm brought over 7 inches of rain in just a few hours to the Des Moines area prompting dozens of rescues and evacuations. One call for rescue was for people stranded in a van on a flooded street around 8:50 p.m. Sgt. Paul Parizek of the Des Moines Police Department said, "As officers responded, it was reported that the occupants had left the van and that one person, a 66-year-old male Des Moines resident, had been swept away in the flash-flood waters."